The stadium is the former home of the Minnesota Vikings of the National Football League. It hosted the final match of the Minnesota Kicks. The football side dissolved in 1981. They drew an average home attendance of 32,000 several years earlier in their second North American Soccer League season. 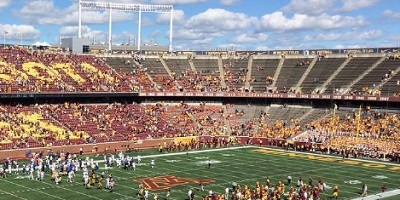 The American football team of the Minnesota Golden Gophers are the current tenants of the TCF Bank Stadium. In 2017, Minnesota United played their first Major League Soccer season at the stadium. Minnesota United, the first football club from Minnesota with 100,000 followers on their main social media page, drew an average home attendance of 20,000 in their inaugural MLS season.